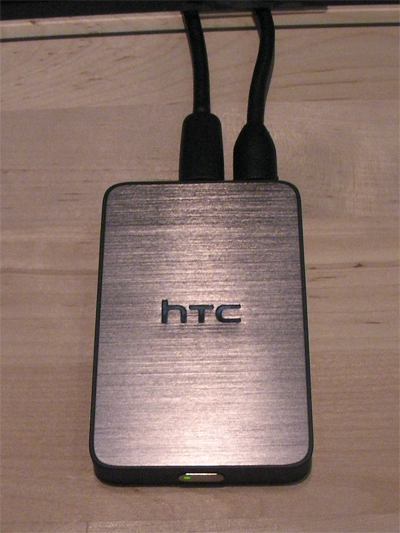 In the excitement of HTC’s unveiling of the Desire HD and Desire Z in London, we missed out on this sweet little gadget. 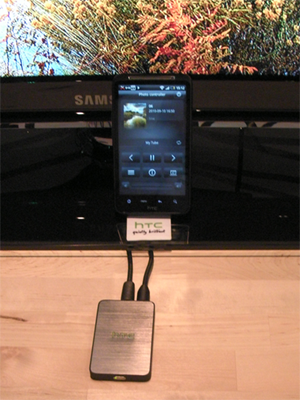 HTC announced plans to release a Media Link wireless DLNA adaptor in Q4 2010, as a companion piece to its continued expansion of the Sense experience. 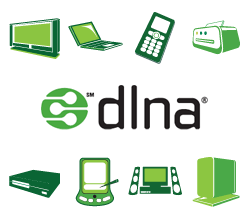 What this little box purports to do is allow you to stream media from your DLNA-equipped phone to a suitable TV, irrespective of whether that TV has DLNA or not. There doesn’t appear to be a whole lot to the device: plug in the microUSB power cable, and connect the box to your display with the mini HDMI output. From there you simply connect your phone to it wirelessly, and enjoy playing your phone’s media on a bigger screen. This sounds like quite a convenient set up, considering your phone probably has a microUSB charger, meaning you won’t need to bring a second (until your phone dies from streaming all 14 episodes of Firefly *sniff*), and you will be able to use your phone as a remote. 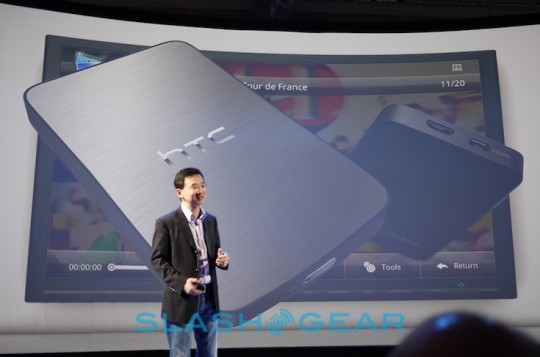 It’s unclear right now what devices beyond the Desire HD and Z will play nice with this charming gizmo, but have faith that the community will be hacking compatibility onto your phone some way or another.